Hotel Indigo belongs to InterContinental and they offer also Airline Staff discount when you book directly with them. Lets set the record straight from the beginning. No city has more affordable luxury hotels than Bangkok. A little depending on which season you visit, there are literally dozens of super affordable places to stay where you get better service, more comfort, nicer amenities and a wider range of facilities (spa, gym, pool, rooftop bar etc) than you’ll find in Paris, New York, London or Hong Kong. Prices vary of course, but for a hotel in the class of the Indigo Bangkok, US$120 will give you a huge room (30m²/320ft²) with a gorgeous yet functional, contemporary decor that comes with a stunning floor to ceiling view of the city, a grande breakfast buffet, a small but well-equipped gym, an outdoor infinity pool and one of the Thai capital’s most popular scenic rooftop bars. The Indigo is just one of Bangkok’s many design hotels with a great location on Wireless Road, just minutes walk to and from the nearest Skytrain (aka BTS), a decent grocery store (Top’s Market), several restaurants and at least one Starbucks. Oh, and a meal or two at nearby Mexican cantina, La Monita Taqueria, is a must when in this part of town. The retro interior of the lobby and on the ground floor near the elevators is a showcase tribute of sorts to the history of (wireless) technology, be that computers, musical instruments, classic radios or transportation via an old rickshaw. It’s almost like a museum, but cooler. Unsurprisingly, the entire team at the hotel was extremely friendly and helpful – making me feel almost instantly at home. They assisted in finding a local driver, printing documents and even tried their best to have my broken Samsonite repaired. Today, hotel staff in Thailand are generally well-educated and speak reasonably good English. And the folks at the Indigo Bangkok are certainly a perfect example of how it pays off to hire the right kind of staff and educate them so they are capable and inspired to effortlessly exceed my expectations. 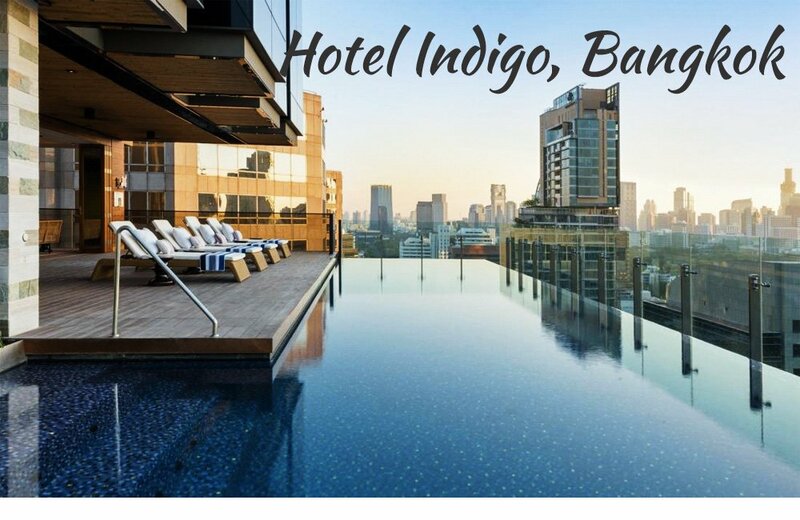 We highly recommend a stay at the Hotel Indigo Bangkok.